This an introduction to my interest in Burma. My drive to visit Burma has been a part of my life throughout most of my adult life. Several years ago, I spent a month in Burma travelling in the tourist triangle. However, my desire to return to Burma soon is on steroids. I’m 74 and have danced successfully with death twice. 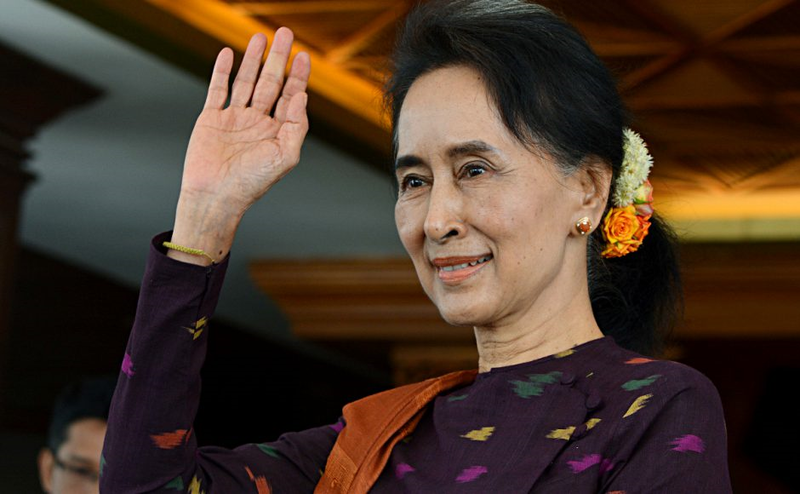 In the time remaining for me in this world, the most important single goal is to return to Burma and interview the Lady, Daw Aung San Suu Kyi. If I accomplish that seemingly impossible quest, I will feel that I have been successful in my life. That isn’t a hyperbolic comment. That single accomplishment drives me. However, that is the backstory. Several weeks ago, when I wasn’t teaching, writing, or caring for Ginger, I turned on the TV while having dinner. I happened to come across a documentary about General Joseph Stilwell, who had many nicknames. One was Vinegar Joe. During WWII, he served in the China Burma India Theater (CBI). There is much to say about Stilwell but all of it can be condensed into two traits: an inventive military tactician and he wouldn’t settle less than absolute effort from his troops. Additionally, while caring for his troops, he wasn’t into all the glamor of the military dress code. During WWII, Stilwell became the Chief of Staff to Generalissimo Chiang Kai-shek in China with whom he had legitimate issues. Chiang was as concerned with the Japanese as he was with Mao Zedong. It caused Chiang to rob Peter to pay Paul. Chiang infuriated Stilwell. While Chiang held back his Chinese soldiers, Stilwell wasn’t particularly impressed either with the British forces due to lack of drive. Again, from Stilwell’s position, he thought that the British were as interested in keeping their colonial rule in India as fighting the Japanese. Stilwell had his Merrill’s Marauders and Wingate’s Raiders, which were designed to attack the Japanese or at least slow down their armed forces as they moved westward toward India. Despite this, Stilwell needed to get supplies from Burma to China to aid the Chinese, who were fighting the Japanese. 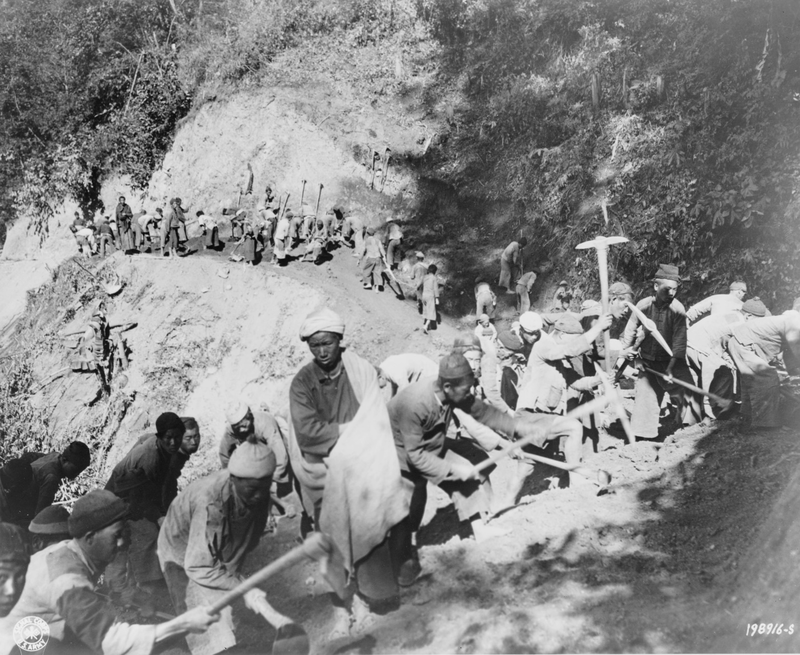 To accomplish supplying the Chinese, Stilwell had to complete a road from Lashio, Burma to Kunming, China, which was called the Burma Road. It stretched over 700-miles and was an extremely difficult task, which crossed mountains and the jungles. It should be noted that the Burma Road also included what was called the Ledo Road, which ran from Ledo, India to Lashio, Burma. Paralleling the road access from Burma to China, the Allies, under Stilwell, also used airplanes to fly from Burma to China. This endeavor was called flying over The Hump. The Hump was a very high mountain range just east of the Himalayas. 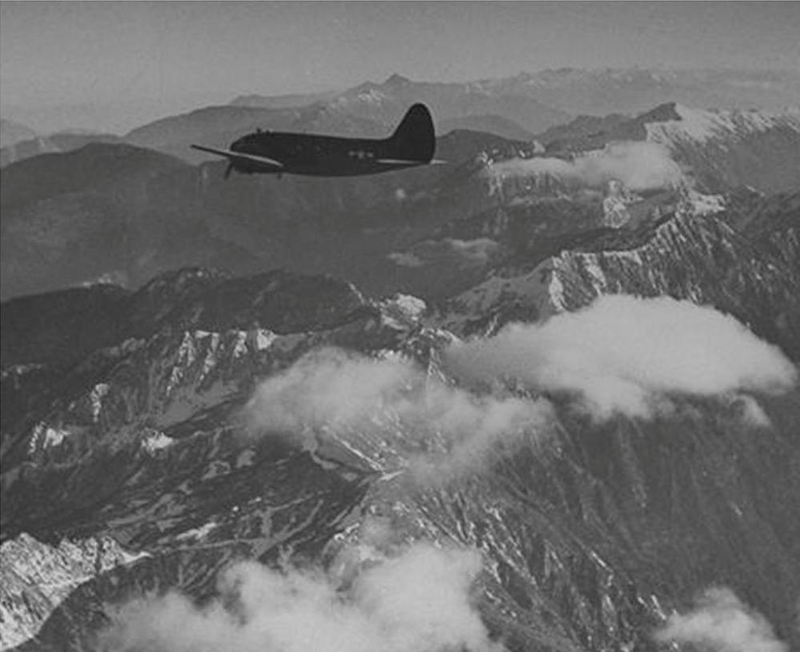 They flew C-46 planes over the mountains in Burma into China. 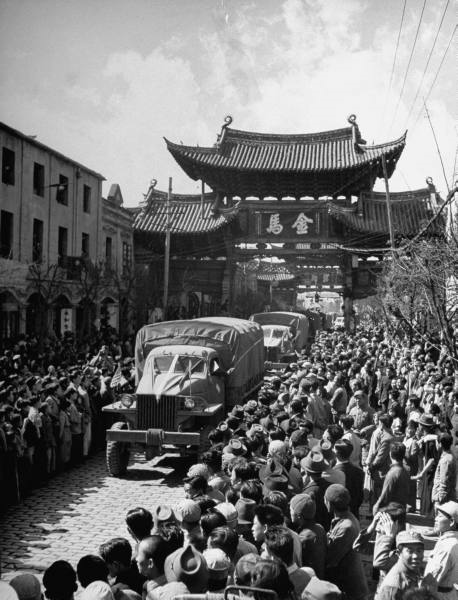 This is the first convoy that reached Kunming, China early in 1945. 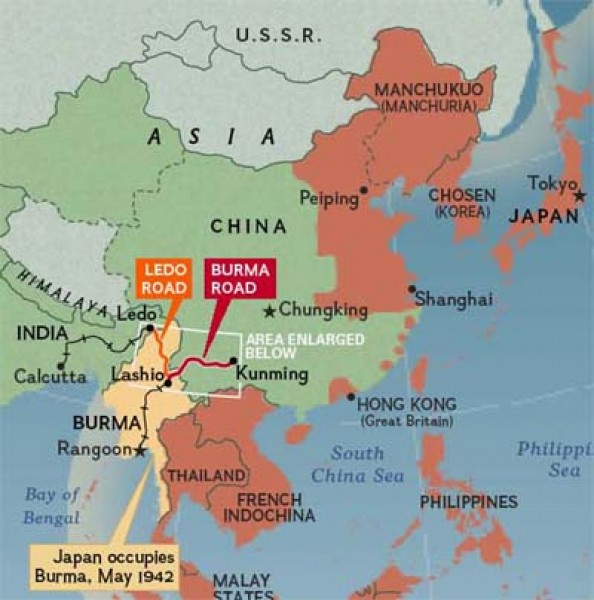 Interestingly, the Burma Road paralleled what the Japanese did earlier in the war. 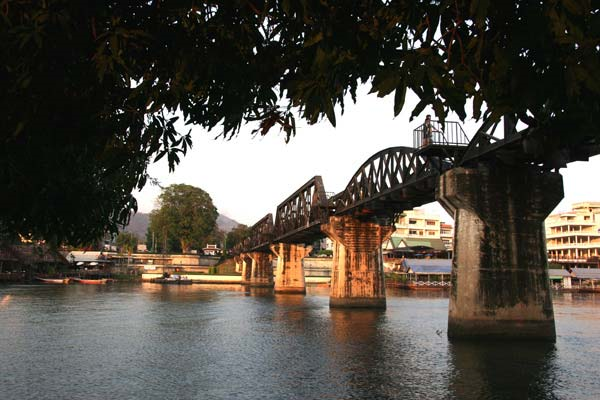 They built the Burma Railway, also called the Thailand-Burma-Railway or the Death Railway. It was used to get war supplies from Thailand to Burma. It was over 250-miles long. During two trips in Indochina, I stopped at the beginning and the end of that railway. 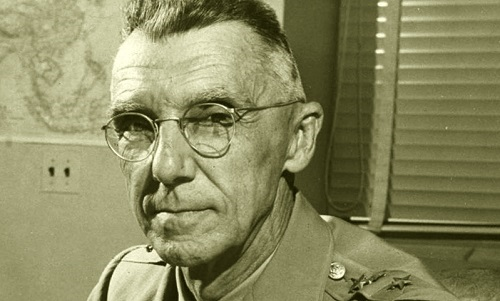 Stilwell, who commanded the Allies in Burma, was up against all sorts of difficulties. However, in spite of all the obstacles, Vinegar Joe didn’t give up. On his desk during the war, he had a little plaque, which read, Illegitimi non carborundum, which is Latin for “Don't let the bastards grind you down.” That drove him and made him a great commander. Interesting, from a personal matter, I have flown over Burma and traveled for miles over various roads in Burma to interview Daw Aung San Suu Kyi often called the Lady. At this point in time, I have not been successful. Stilwell was driven to accomplish his goals and has reinforced my drive to talk with the Lady.